It rained today. Jedda the pup doesn't like the rain. She was born in a heat wave, house trained on the hard summer dirt. Now she’s a warm-weather princess in a fur-feather boa—and I’ve never had a dog before who gave two-shits about the weather? In the last weeks, the fall light has warmed to perfectly golden brown. I’ve been tired, I’ve had a cold, I’ve spent my nights mostly inside on soft surfaces, wearing soft things. As the days get shorter, like moth to flame, I go in search of mental coziness. It’s a gauzy-plush free fall into a nest of comfort media—which for me is rugged-beautiful adventure documentaries and old-person arts-and-entertainment podcasts. See below! FREE SOLO: Newsflash—Alex Honnold free-soloed up El Cap in Yosemite. 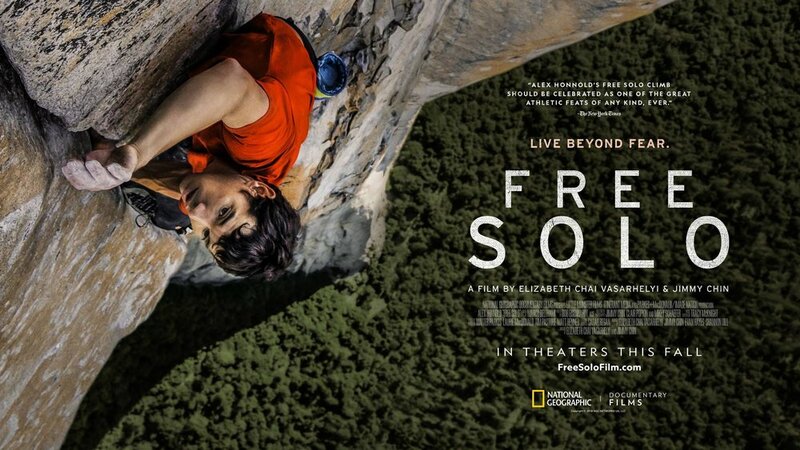 This documentary on Honnold's adventure, while ostensibly about the man and his rock, for me was really about relationships—and the ways they hold you back. GIVEN: A beautifully framed piece about nomadic surf travel through the eyes of a toddler. Let's all quit our jobs and roam wherever we wish and most of all—never wear shoes again. FRESH AIR WITH ADAM COHEN—LEONARD COHEN'S SON: Terry interviews Adam about his dad Leonard. Adam isn't an easy interview—his brain's wired differently like his old man's. That makes this talk richer, more thought provoking, more full of a cool kind of sad beauty.